It’s becoming a common affliction across Canada: election fatigue. But as the country gets ready for its fourth federal election in seven years, the Church is reminding us just what is at stake. 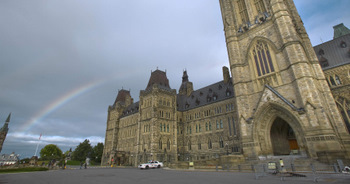 Hours after the government fell last week, the Canadian bishops released their 2011 Federal Election Guide. They want the faithful to evaluate candidates and party platforms in light of five priority areas. This first is “respect for life and human dignity: from conception to natural death”. Secondly, they want the government to “build a more just society”, which includes both poverty reduction and ending excessive spending. The third priority is “the person and the family”. This involves fair wages and just immigration laws, among other concerns. The final two priorities are international “leadership for justice and peace”, and sustaining a “healthy environment”. Canadian Catholics are being called upon as citizens to exercise their right to vote. The Church encourages and reasserts its belief in “the political freedom and responsibility of citizens.” By exercising their right to vote, citizens fulfill their duty of choosing a government and at the same time send a clear signal to the candidates being presented by the political parties.